You might have seen the latest trend of coffee body scrubs, which actually now very popular among the beauty enthusiastic people. 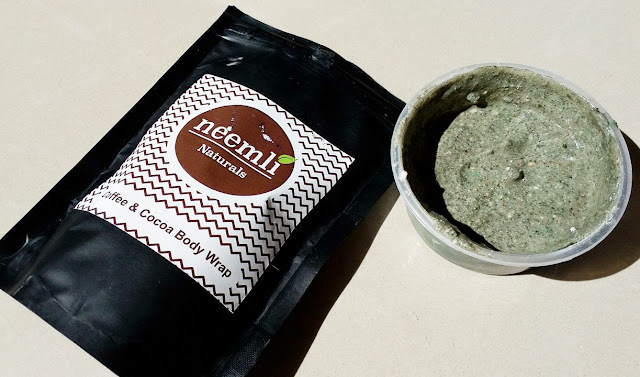 Very recently I have been introduced this body wrap from Neemli Naturals on my weekend skincare pamper treat. I love bathing essentials a lot mainly body oil and body wrap or scrub. I have never used anything from this brand before. 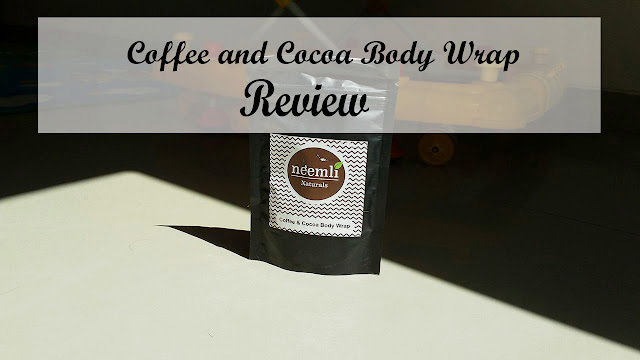 The body wrap contains coffee, cocoa powder, zeolite clay and bentonite clay. 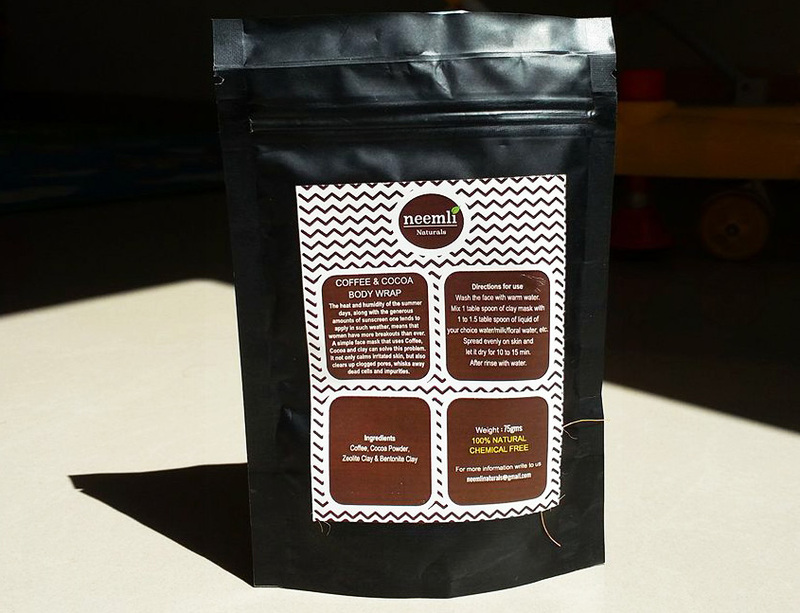 Coffee & cocoa decrease puffiness and wake up a dull complexion. 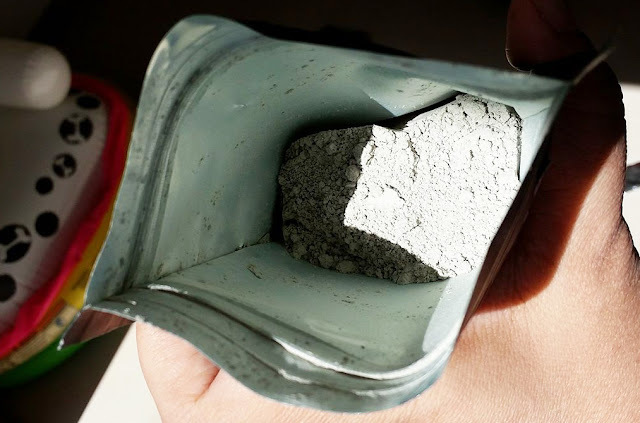 Bentonite clay is abundant in minerals which help in removing toxins from the skin's pores. It’s said that coffee scrub will not only get rid of dry skin but also help with skin conditions such as cellulite, stretch marks, and eczema. Body scrubbing is one of the important rituals which giving us healthy, clean and smooth skin. 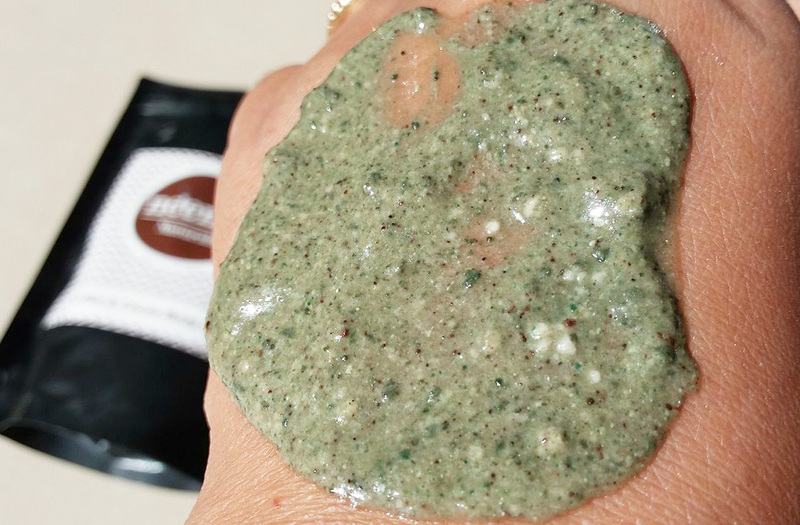 During body scrub, the exfoliating granules help to slough off dead skin, and the gentle rubbing action itself increasing blood flow to the skin’s surface that helps to improve skin texture from inside and out. This scrubbing process can reveal the fresh, clean, and rejuvenated skin hidden under the layers of dead skin cells, grime, and sweat. Body scrubbing can make the skin soft and supple, revitalized and invigorated. So you can accumulate body scrubbing during your daily shower. Neemli Naturals body wrap comes in a sealed waterproof matte-plastic pouch. Once you cut open the packet, the body wrap needs to be stored in a separate small airtight jar. The packaging is quite decent and lightweight. The body wrap has a powder texture which looks very fine. You need to mix it with normal water or rose water or milk to get forms a smooth paste which is easy to apply. It’s ash in color and smells just like regular coffee powder. I absolutely love the smell of coffee. It’s a very uplifting scent for me. Texture which looks very fine, it’s ash in color and smells like coffee. As per the instructions made it into a paste with some water or you can mix it with milk or rose water. Today I am sharing a new recipe that I used twice and got a very good result. For this preparation, you will need, Olive oil, honey, yogurt and body wrap powder. Mix all the ingredients together until you get a smooth paste and the very interesting thing that it turned into a green color paste. This preparation is really good for dry skin. Depending upon your skin type you can choose any of the liquid or you can create your own. This product enriched with some really very good natural ingredients and it is a totally chemical free product. 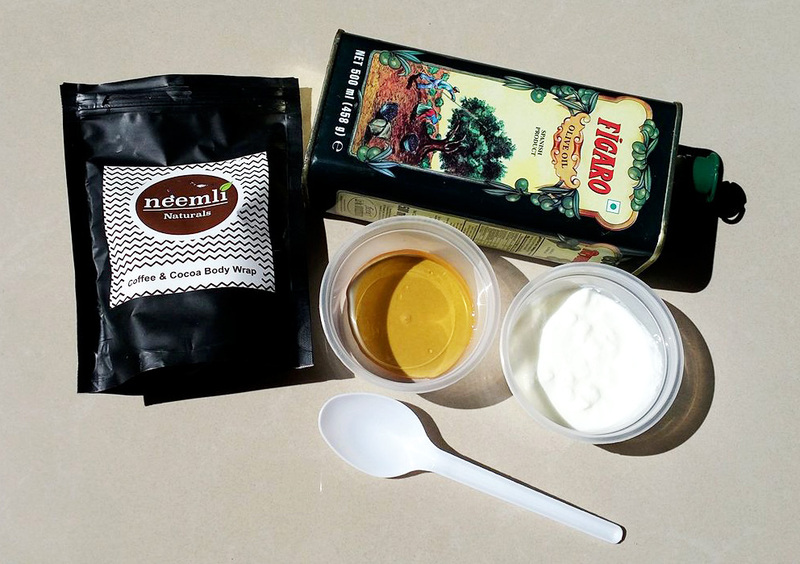 I also added some ingredients that suited my skin very well. The body wrap looks very fine but it contains very small brown colored exfoliating particles that are very gentle enough for all skin types. The best part of the product is that the granules that are not harsh on my skin which gives a mild exfoliation every time. 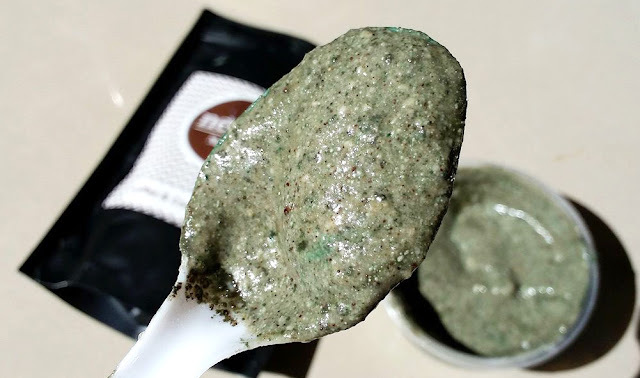 I think for that reason acne pore skin and sensitive skin beauties can also easily use this scrub. This is face and body scrub as well. I apply this scrub on my face (just keep it well away from your eyes) with circular and outward strokes to exfoliate impurities. For the body part with help of wet fingers and massage gently the scrub all over the body. I leave it on for about ten to fifteen minutes, then I jump in the shower and wash it off. 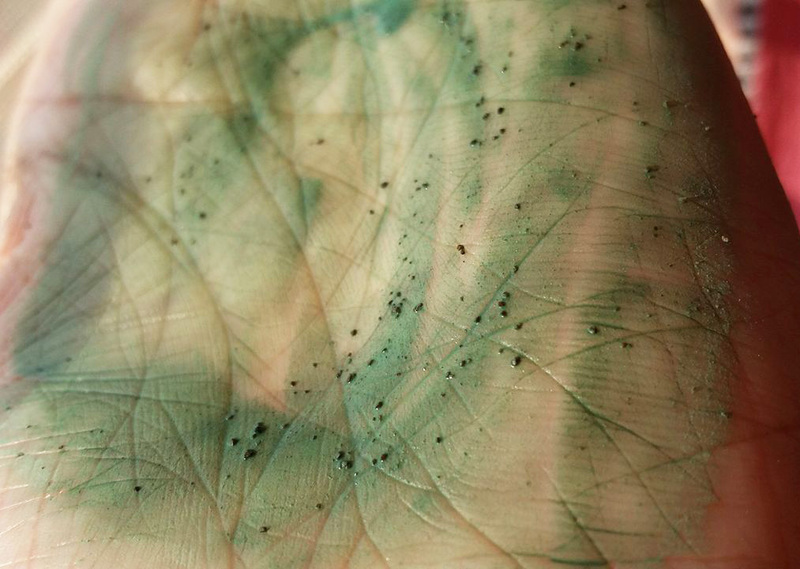 Just after wash off each time, I found it left a greenish tint on my skin that is really irritating part. You need to clean your skin with a good amount of water or the tint faded away some hours later. It contains very small brown colored exfoliating particles that are not harsh on the skin. Coffee has amazing benefits for the skin. Due to its high caffeine content, rubbing it on your skin helps improve blood flow making it appear brighter and healthier. It also restricts blood vessels. I love using this all over my body as an effective way to exfoliate dull, dead skin cells and it's great to use it makes your skin feel so wonderfully smooth and moisturized. I have been using this product two or three times a week for about one month and all I can say is that my skin has become a lot softer, smoother and dead skin cells have been removed. It's great to use it makes your skin feel so wonderfully smooth and moisturized. I am obsessed with this scrub, and I definitely want to continue this. It won't dry, crack or feel tight, so my skin was left feeling soft, hydrated and definitely soothed all over. Not only is the product great, but I'm really impressed with the brand, especially it is free from cruelty, Sulphates, Parabens, Synthetic Colours, Synthetic Fragrance, and SLS. I would definitely recommend as it is absolutely amazing. i have tired charcoal pack in this range it was good. this looks like a good pack.